Upkar Dhaliwal is an Parallel Entrepreneur and Wireless Technology subject matter expert on Mobility, He has hands on wireless and internet experience undertaking Application, Intellectual Property, Business Development and Technical advisor support on Present and Future Wireless Technologies and its product development for start ups, OEMs, private equity and with most of Market Leaders. A Professional Chartered Engineer of Engineering Council UK, He is a Senior Wireless & RF System Architect Executive an industry expert serving on numerous industrial/technical/policy bodies with US National Policy influences and technical societies with specialized knowledge and technical leadership for many Start up and the investment community. At present, he is working on beyond 4G charting towards 5G in terms of Cognitive Radios, Distributed Mesh Sensor Radios and beyond LTE-Advance into the World of Big Data and Internet of Things IoT that will drive next generation of Internet. He is a volunteer in many IEEE roles. He grew up in West London England and studied for Bachelors and Masters Degrees in Engineering, Leeds and University College London Universities respectively, leading to early career experiences & contributions in device modeling, circuit design and subsystem developments where he led World wide engineering teams in some World Class Firsts. Some new Firsts are still being implemented in MANET connected devices, Hybrid Cloud Services and Predictive Insight Big Data. 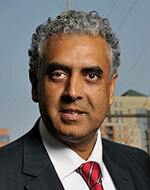 In this talk, Upkar Dhaliwal will provide a renewed personal insight into activities in the evolution of RF & Wireless Technologies that use wireless communications like BAN, PAN, LAN, MAN and WAN in the separate and multiple discipline markets of Energy, Transport, Health and Connectivity to enable added value services. Is there any future for Aerial or SAT-COM platforms and where are Photonics going like NPI? ; what is next for mmWave, and beyond like THz? are some of the questions that he will try to answer. Dirk Kutscher is a Professor for computer science and networking at the University of Applied Sciences Emden/Leer. Previously he has been the CTO for Virtual Networking and IP at Huawei's German Research Center. He is co-chairing two Research Groups in the Internet Research Task Force (IRTF) on Information-Centric Networking (ICNRG) and on Decentralized Internet Infrastructure (Proposed DINRG). Dirk has published several IETF RFCs, books, and research publications on Internet technologies. He has a PhD from Universität Bremen. Previously Dirk was the Chief Researcher for Networking at NEC Laboratories Europe and worked as a Visiting Researcher at KDDI R&D Laboratories in Japan. Integrating computing with networking is considered promising if not essential for delivering adequate performance and efficiency for many exciting new use cases. For example, networked AR suggests that AR support functions could assist a user application by performing certain tasks (such as face recognition) that are too compute-intensive for some mobile devices. Low latency requirements demand that such functions be located close to the rendering devices, i.e., in the network, not at a far-away data center. As another example, predictive maintenance in smart manufacturing requires processing large amounts of data. Sometimes the volume may be too large to allow for real-time transmission to cloud-based analytics and processing functions. Instead, the data has to be stored and processed locally, i.e., close to generation. This processing might involve several layers of computations and intermediate results may be input to higher layer analytics. Most technical approaches towards integrating such computing tasks into networks are based on the notion that computing and networking are two separate domains: for example, computation would take place in virtual machines, and the network (using IP forwarding, transport and application layer protocols) would simply serve as a connector of a set of virtual machines (in a virtual network or access network). This is based on the notion that instantiating and executing computation is a relatively heavy-weight and costly process. In recent years though, microservice architecture and the development of light-weight compute virtualization and isolation approaches suggest that there may be different ways to design in-network applications. This talk introduces Compute-First Networking (CFN) -- an in-network computing approach that is based on the joint optimization of networking and computing resources. In CFN, applications are (at development time) split into components that can be embedded in networks at run-time in different ways, considering application properties, user preferences and operator policies. The embedding can dynamically change, according to dynamic network characteristics, nature and state of computations and data availability. For example, in a specific environment, it may be beneficial to not simply connect a user application to an already running compute instance behind a congested network link. Instead, the function could be moved and the connectivity graph could be updated accordingly. The talk will present an overview of the CFN architecture, design considerations and present new use cases for in-network computing that CFN enables.